Many years ago, before everyone had a cell phone, a friend of mine put a little sign next to her landline that read, “Stress is when your gut says no and your mouth says yes.” She did that because she had a hard time saying no to any request. The pressure of having too much to do created so much stress, she couldn’t sleep at night. She eventually learned to say no, but given life in contemporary society, we all have to cope with more and more stress which takes its toll on our heart health. Think about a typical day in your life. Someone cuts you off on the highway. You drop your favorite mug, and it shatters on the floor. Your dog decides he needs to go out at 1:00 a.m., interrupting your sleep. Maybe you needed to get gas and are now running late for work. You forgot a password, your computer froze up, or your oil light comes on. All of these can put us into fight or flight anxiety. But there is no one to really fight, and you can’t really run away. The result is stress. Do you react in a calm matter and brush off these awkward, sometimes irritating moments? Or do they frustrate you to the point where you almost hear your heart pounding in your ears? Small events may feel minor, but depending upon your personality, they could take a more significant toll on your body than you think. Stress does have an impact on our hearts. Did you know that earthquakes and Mondays double the incidence of heart attacks? Are you aware that heart disease kills men three times more than usual in the year following a wife’s death? While stress alone can impact your heart, feeling stress can lead to behaviors that increase your risk of heart disease. Examples are smoking, drinking, binge eating and skipping your regular exercise routine. But stress is not the only condition that can hurt your heart. What creates good heart health? There are five steps you can take to improve your heart health which can reduce your risk of heart disease, all of which encompass lifestyle changes. A lot of people will try to make the changes one at a time, which is a valid approach. But by adopting them piecemeal, there’s a chance you won’t make all the changes. But if you immerse yourself in them all at once, you will find yourself energized and feeling better sooner. If you see the word “exercise” and shudder, you’re not alone. There are a lot of reasons people have for not exercising, yet it is one of the best ways to reduce stress and improve your heart health. You don’t have to spend hours in a gym. Thirty minutes a day of walking goes a long way to improving your cardio conditioning and muscle tone. If you can do it without looking at your phone the entire time, it’s even better. Losing weight is not about dieting. It’s about changing how, what, and sometimes when you eat. When your weight increases, so does your risk for plaque build-up in your arteries, which can lead to a heart attack, heart disease, and high blood pressure. Even if you smoke, including pot, you probably know it’s not the best habit. Smoking puts you at risk for developing heart disease as well as many other conditions such as lung and kidney cancer. Think about what you’re doing when you smoke. You are intentionally breathing in smoke. Would you go into a burning building to do that? Of course not. So why take breaks during the day to do the same thing? Stop cold turkey or try any number of products on the market that can help you cut back and eventually eliminate this habit. To minimize your risk of a heart attack or congestive heart failure, lower your blood pressure. Your blood pressure may have been excellent in the past, but guidelines have changed. Check to be sure yours falls at or below 120/80. I think almost everyone knows lowering cholesterol levels is one strategy to reducing your risk of heart disease. The first thing to do is to eat heart-healthy foods. Eating fewer saturated fats, such as red meat and full-fat dairy products is a good start. But by exercising, not smoking and losing weight, you can also lower your cholesterol. Although you can help yourself stay heart-healthy in many ways, genetics do play a part. As such, you can do everything right and still develop a heart problem. Your best defense is early detection. Early heart disease is often asymptomatic but can be detected through routine check-ups with your healthcare professional. However, if you experience any of the following symptoms, contact your physician right away. It doesn’t mean you have heart disease. It only indicates you should double check. Chest pain during physical activity but subsides when you rest. Inability to engage in your usual activities. Pain, numbness, and/or tingling in the shoulders, arms, neck, jaw, or back. Reduced ability to exercise or be physically active. Shortness of breath when active, at rest, or while lying flat. Swelling in your extremities, stomach, and/or neck. Heart skips a beat or beats too hard. If you experience any of symptoms or a combination of them it is vital you contact your physician right away. The older you get, the more susceptible you are to heart problems. As you age, you undergo changes in the heart and blood vessels that increase the risk of cardiovascular disease. Your heart can be aging, but still be healthy. Nevertheless, it will experience changes like other areas of your body. For example, when you grow older, your skin becomes thinner and loses a certain amount of elasticity. Your eyes can be healthy, but not see as well once you turn 40. All of this is normal and natural, and many of us go to great lengths to minimize the effects of getting older. Our understanding of how the aging, cardiovascular system leads to heart disease has advanced tremendously over the past 30 years. The medical community is now able to pinpoint risk factors that can contribute to cardiovascular disease. It can also determine how a healthy lifestyle can influence what is termed the “rate of aging.” In other words, while you cannot stop aging, you can slow down its effects. The aging of other bodily systems, including the muscles, kidneys, and lungs, also contributes to heart disease. One system can possibly impact another and research is being conducted to determine how much. Findings could lead to new treatment methods. Scientists are researching interventions that can slow the aging of the heart, thus preventing or delaying the onset of heart disease and other cardiovascular problems. In the last 10 years, there has been a push to increase women’s awareness of heart disease. 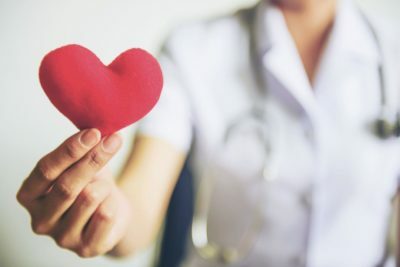 According to the Centers for Disease Control and Prevention (CDC), 25% of the women in the United States will die of heart disease, making it the number one cause of death in women. Because women are at such high risk for suffering from heart disease, it’s best to control the factors that you can. In addition to taking the steps previously outlined, you can also make the following adjustments in your lifestyle. Even if you aren’t a female, these hold true for everyone. Eat foods that your body can absorb nutritionally. Burning or other pain and discomfort in the chest. Pain in the neck, jaw, throat, or upper abdomen. The most straightforward way to prevent heart disease is by staying informed about prevention and treatment. But the most immediate action you can is adopting a healthier lifestyle. The sooner you incorporate some of the practices designed to keep your heart healthy, the better you will feel.